May's show will gather the borough's finest in a new location in Greenpoint. 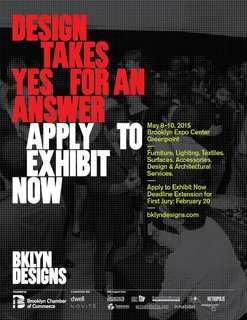 BKLYN DESIGNS, taking place May 8-10, 2015, is an annual celebration of Brooklyn's makers, architects, and designers. 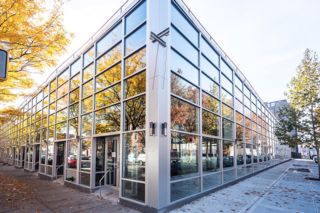 In a new location at the Brooklyn Expo Center in Greenpoint, the show, part of the city's NYCxDesign initiative, will gather lighting, textiles, furniture, building services, and more from the borough's thriving design community. The Brooklyn Expo Center is the show's new home. Makers are encouraged to apply for inclusion in the show by Feburary 20, 2015. BKLYN DESIGNS will be complemented by seminars and panel discussions led by Dwell editor-in-chief Amanda Dameron and others. The Dwell Store will present a pop-up retail shop with Brooklyn-made items, and Dwell Home Tours will open up five incredible homes in the borough for visitors to admire. Designers are encouraged to apply by February 20, 2015.